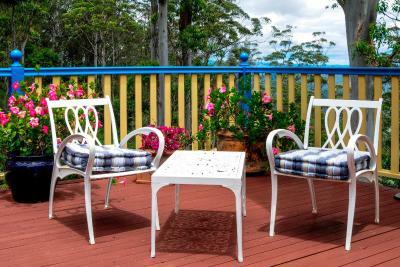 Lock in a great price for Avocado Sunset Bed & Breakfast – rated 9.8 by recent guests! Richard and Cheryl are very friendly and welcoming hosts. Very relaxing stay, yummy breakfast and what a view! Loved absolutely everything. The room was clean and very comfortable. Would definitely love to come back again for a longer stay! 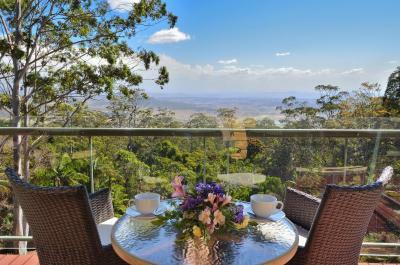 A beautiful setting overlooking the Scenic Rim. It was glorious to wake up to bird song. Lots of lovely little extras. It was an absolutely fantastic stay. Cheryl and Richard both know what hospitality means and have been amazing host from arrival until departure. Would definitely recommend anyone to stay with them. 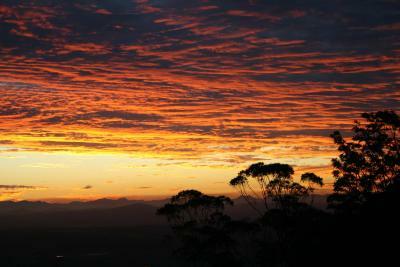 The view from the safari room was incredible and loved to watch the sunset over the lower valley from our own balcony. We were surprised on our honeymoon with an upgraded room at no extra cost. The staff were so accommodating and friendly to our requests. Breakfast was delicious! Would recommend this place in an instant. A great location for a romantic weekend get-away. Very comfortable, friendly hosts and a great breakfast. Everything. Hospitality. Safari room was amazing. Spa bath was beautiful. View priceless. Avocado Sunset was a wonderful experience all around. The hosts Cheryl and Richard were very friendly and helpful. Breakfast was terrific . The room and guest area was very clean and comfortable . The proximity to town and all of the attractions is good and the view from the outside patio is outstanding. 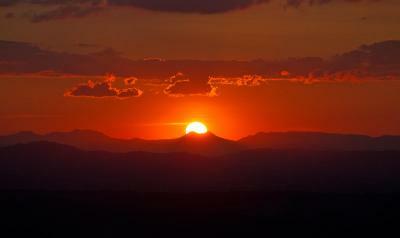 We had a very relaxing stay and would not hesitate to recommend Avocado Sunset for your accommodation in Mt. Tamborine. . This is beautiful accommodation in a lovely location. We chose the Oriental Room. It had a lot of space for us to relax. It looked onto pretty garden and had its own entrance. The common area has a wonderful outlook over the mountains which we could enjoy from inside or out on the balcony. Breakfast was fab and Cheryl and Richard are wonderful hosts. We look forward to staying again and recommending to our friends. 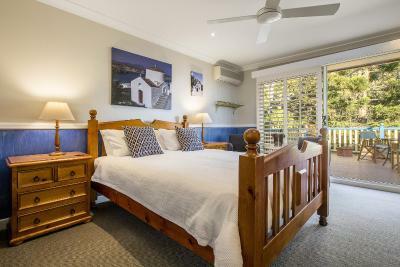 Avocado Sunset Bed & Breakfast This rating is a reflection of how the property compares to the industry standard when it comes to price, facilities and services available. It's based on a self-evaluation by the property. Use this rating to help choose your stay! Full hot and cold breakfasts are served each day in the beautiful dining room overlooking the valley and the mountains beyond. Guests can try avocados grown on the property with their breakfast. 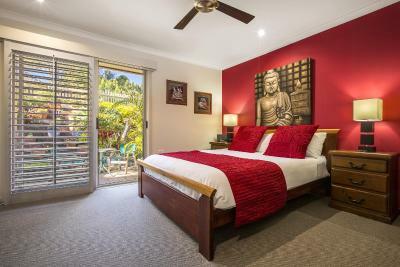 Each uniquely themed, adult only room at Avocado Sunset B&B includes air conditioning, heating, TV and a DVD player. 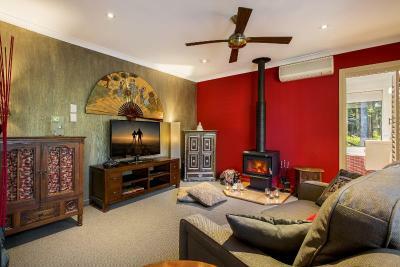 Some rooms feature a log burning stove. 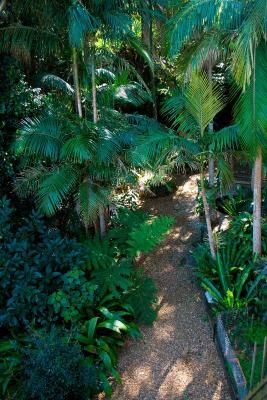 Mount Tamborine Convention Center is a 5-minute walk from Avocado Sunset Bed and Breakfast. Tamborine Mountain Golf Club is a 15-minute drive away. Most restaurants and shops in North Tamborine are less than 5 minutes away. 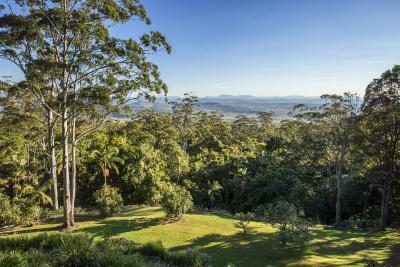 This property also has one of the top-rated locations in Mount Tamborine! Guests are happier about it compared to other properties in the area. 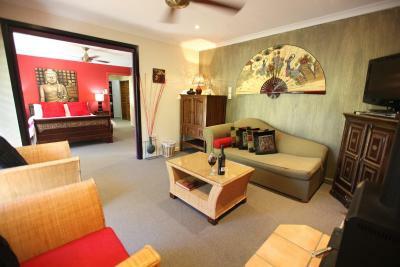 This property is also rated for the best value in Mount Tamborine! Guests are getting more for their money when compared to other properties in this city. When would you like to stay at Avocado Sunset Bed & Breakfast? 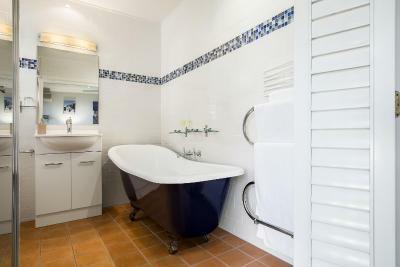 This Mediterranean-style, adult only room features an private bathroom with a claw-foot bath and a separate shower. Includes a private patio offering mountain views. Includes a courtyard, separate lounge room and log stove. 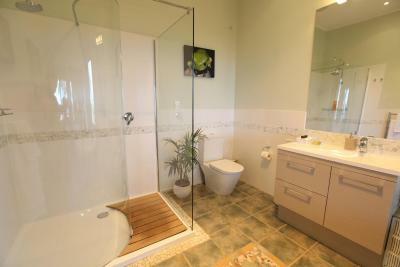 The private bathroom includes a single spa bath. 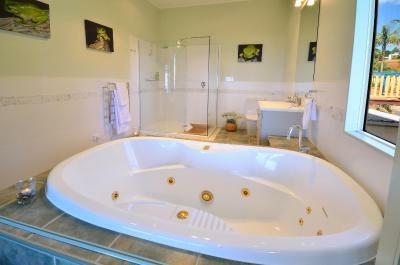 Features a log burning stove, full-length double spa bath and separate shower. 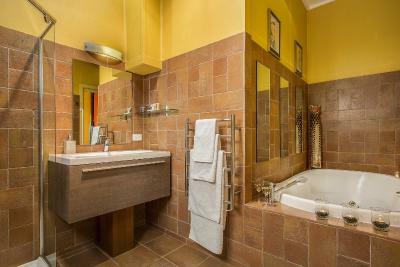 Private suite with private bathroom featuring a full-length double spa bath and separate shower. House Rules Avocado Sunset Bed & Breakfast takes special requests – add in the next step! Avocado Sunset Bed &amp; Breakfast accepts these cards and reserves the right to temporarily hold an amount prior to arrival. Avocado Sunset Bed & Breakfast accepts these cards and reserves the right to temporarily hold an amount prior to arrival. 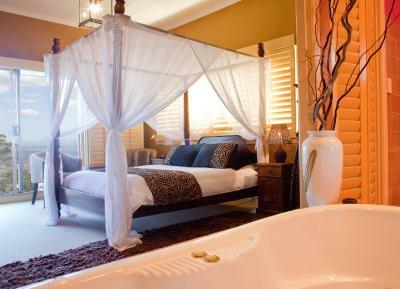 Please note that 100 percent of the first night will be charged at the time of booking. Please inform Avocado Sunset Bed & Breakfast of your expected arrival time in advance. You can use the Special Requests box when booking, or contact the property directly using the contact details in your confirmation. The cleanliness and little extras that some b and bs fo not do. Our room didn't have a view of the mountains but we could enjoy that at any time from the very comfortable common areas. For our visit this time we enjoyed having a suite of rooms instead of the view. We loved this adults only B&B, the best we've ever been to. The Oriental Suite was massive and very comfortable with lots of special touches like candles, DVDs, bathroom with spa bath overlooking the rainforest. There was a log burner for winter visits. The communal area was beautiful and the delicious breakfast cooked to order (with home grown avocadoes of course!). Cheryl and Richard were wonderful hosts. There are numerous restaurants nearby and we watched the sun setting overlooking the rainforest with a take away pizza and glass of red wine, followed by a complimentary glass of port. Magical. We didn't have time to explore their property and find the water hole, but we will definitely return for a longer stay. Highly recommended. Everything! Our hosts were amazing and the room was perfect. 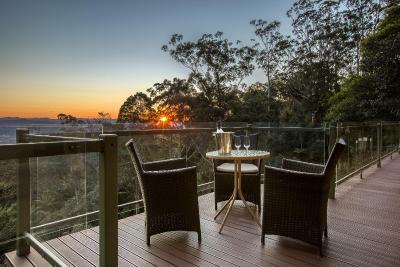 Our favourite part was the beautiful private balcony at sunset. Great location, great service. Very quiet, great view, wonderful hosts.